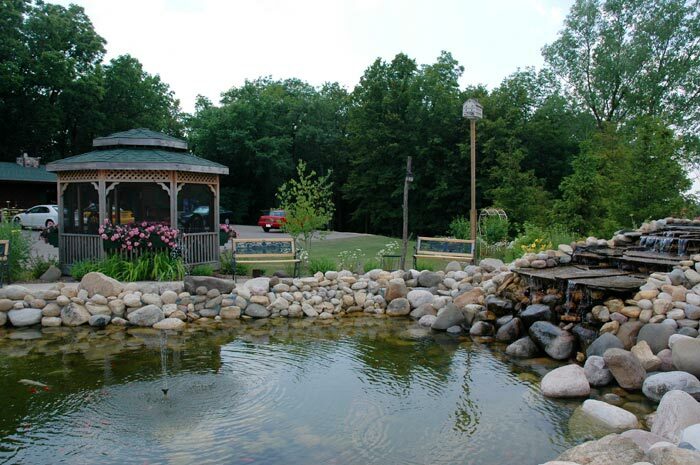 Other Lake Geneva resorts offer only SOME of the luxurious features that you will find at the Lazy Cloud! The Lazy Cloud, an intimate Lake Geneva resort, offers you a host of complimentary amenities. A chilled bottle of wine or champagne and hand dipped chocolate strawberries or a caramel apple pie will be waiting for you upon arrival! Delectable chocolate raspberry meltaways will be placed daily at your bedside! Scented raspberry bubble bath will be found next to your double whirlpool. 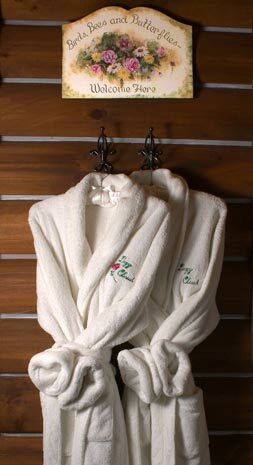 The warmth of your comfortable robes and the romantic glow of your fireplace confirm that among Lake Geneva resorts, the Lazy Cloud far surpasses many of the finest accommodations in the area! 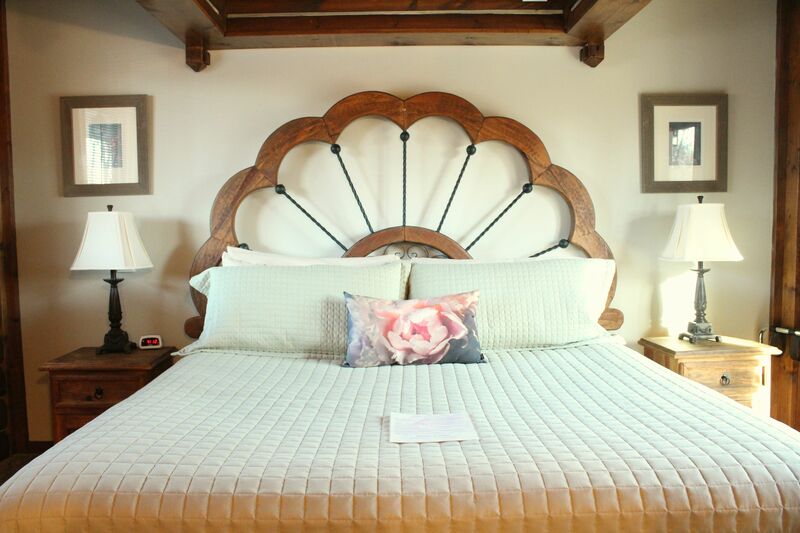 A stay in the Moonlight & Roses suite will create memories that will last a lifetime! 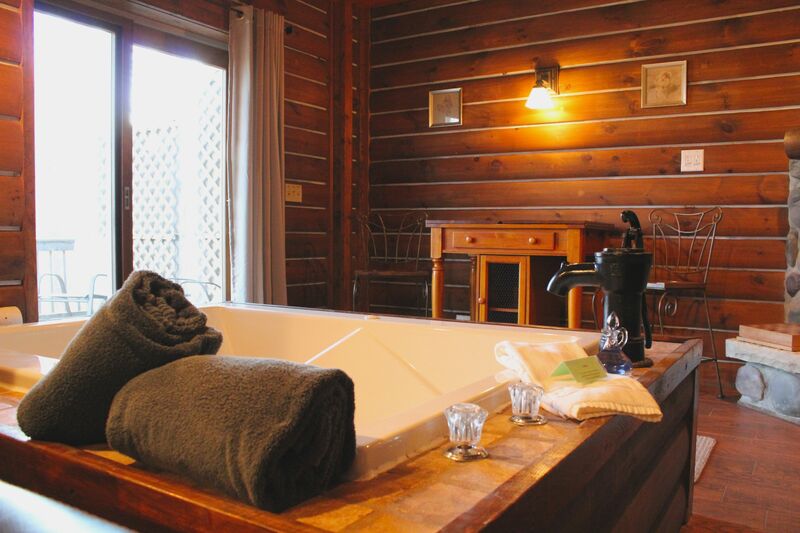 The Moonlight and Roses Suite is a unique combination of a rustic log cabin with the softness of a rose…a great place for your romantic honeymoon. You will also have a view of the woods from your bed through the sliding doors so you can wake up to all the beauty that nature has to offer. The unique dining table is a wonderful place to enjoy breakfast in the morning as you gaze through the patio doors overlooking our four wooded acres. The fieldstone fireplace was designed so that it can be seen from almost any place in the suite. The new leather couch, the double whirlpool as well as your comfy king size bed have great views of the fieldstone fireplace. 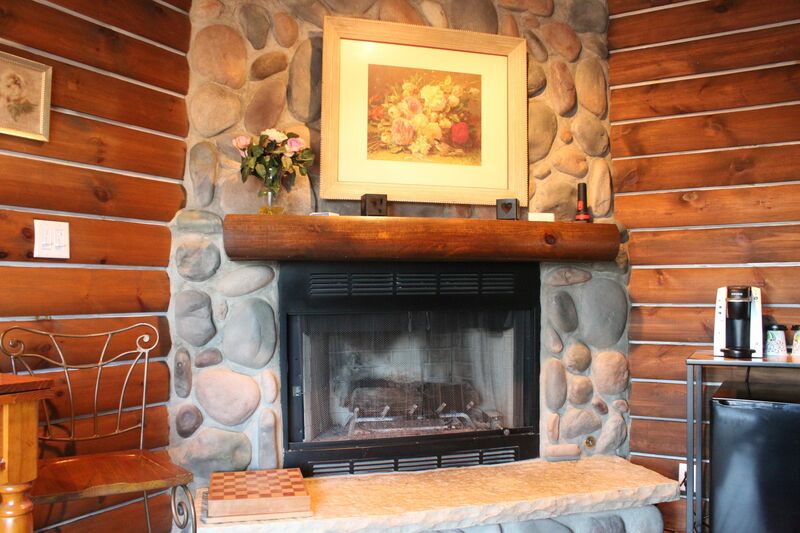 The walls are a log cabin style with a wood bead board ceiling. A large private deck is the perfect place to relax and enjoy a beautiful day during your romantic honeymoon or getaway!